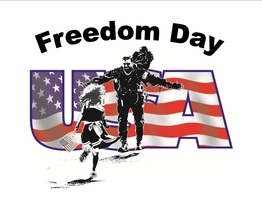 Freedom Day USA, a national Thank You Movement for the members of our military and their immediate families, along with Veterans. Each business participant is providing a thank you gift, in the form of free services, goods, discounts, and various other offers. A complete list of local participating businesses and the services they are providing can be found on www.FreedomDayUSA.com. Wish a Smile is AAID organization that gives back to veterans.